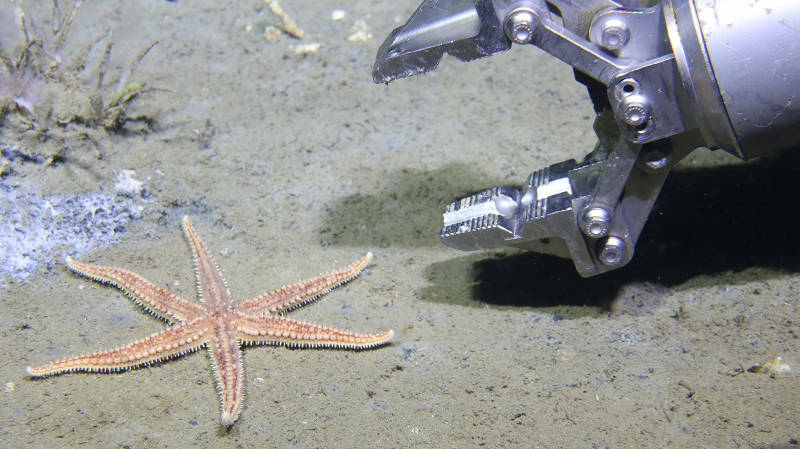 From July 14 - July 27, 2015, scientists used their combined expertise in bioluminescence, taxonomy, visual ecology, imaging and molecular biology, together with the unique collecting capabilities and camera systems of the remotely operated vehicle, the Global Explorer, to continue studies of the deep-sea benthic environment in the Gulf of Mexico. Despite some frustrations along the way, overall, the expedition was a tremendous success, with several findings and plenty of specimens and data to comb through to reveal even more discoveries. Purple holothurian, also known as a sea cucumber. Benthothuria funebris. Deepwater skate, Acanthobatis folirostris. 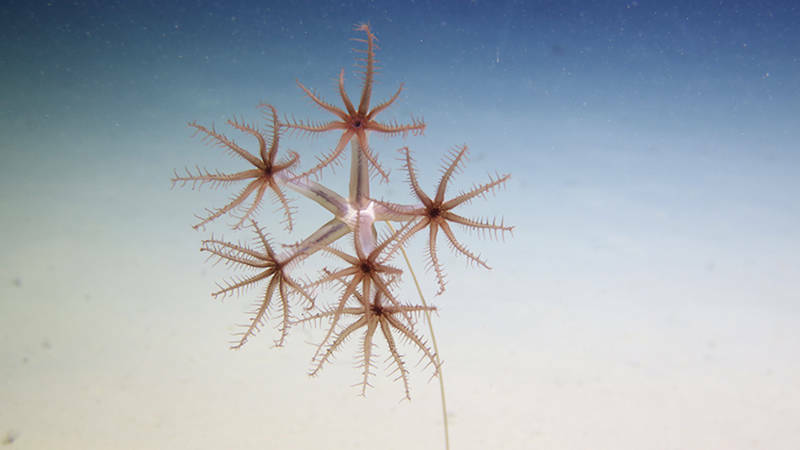 Video courtesy of NOAA Bioluminescence and Vision on the Deep Seafloor 2015. Gastroptychus sitting on anthozoans. 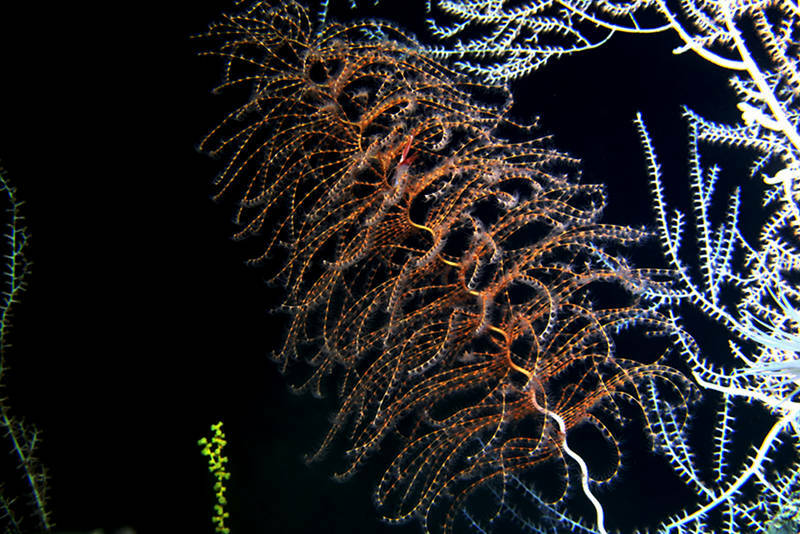 Video courtesy of NOAA Bioluminescence and Vision on the Deep Seafloor 2015.